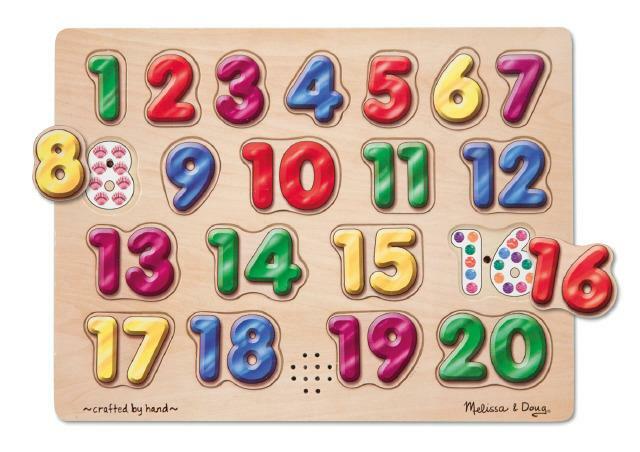 This 20-piece wooden puzzle teaches numbers in Spanish! Just place a number piece correctly to hear a clear, crisp voice pronounce each sound. With raised pieces that are easy to grasp and pictures of colorful objects to count, this self-correcting sound puzzle is the perfect auditory activity for introducing Spanish numbers or practicing Spanish-language skills. Dimensions: L: 13.62" x W: 10.12" x H: 0.75"